Co-founder and Editor-in-Chief of De Speld. 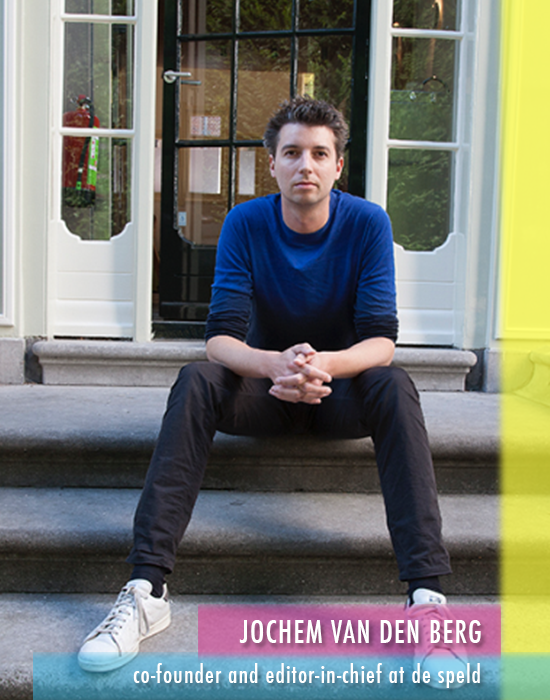 With a background in theatre and masters both Religious Studies and Philosophy, he founded De Speld in 2007. The satirical site became well known for their ‘objective news’ and social commentary. In the later years the website expanded into other outlets like video, tv, radio, books and live performances.